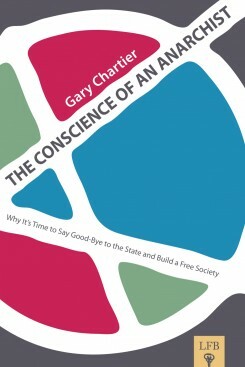 C4SS Senior Fellow Gary Chartier will be giving the following presentation to the Association of Private Enterprise Education at the Free Market Anti-Capitalism session during their Annual Conference in April. A PDF version of this presentation is available for download as well as a ready for print PDF zine. Defenders of freed markets have good reason to identify their position as a species of “anti-capitalism.” To explain why, I distinguish three potential meanings of “capitalism” before suggesting that people committed to freed markets should oppose capitalism in my second and third senses. Then, I offer some reasons for using “capitalism” as a label for some of the social arrangements to which freed-market advocates should object. Capitalism-1 just is a freed market; so if “anti-capitalism” meant opposition to capitalism-1, “free-market anti-capitalism” would be oxymoronic. But proponents of free-market anti-capitalism aren’t opposed to capitalism-1; instead, they object either to capitalism-2 or to both capitalism-2 and capitalism-3. Many people seem to operate with definitions that combine elements from these distinct senses of “capitalism.” Both enthusiasts for and critics of capitalism seem too often to mean by it something like “an economic system that features personal property rights and voluntary exchanges of goods and services — and therefore, predictably, also rule by capitalists.” I think there is good reason to challenge the assumption that dominance by a small number of wealthy people is in any sense a likely feature of a freed market. Such dominance, I suggest, is probable only when force and fraud impede economic freedom. Capitalism-2 and capitalism-3 are both inconsistent with freed-market principles: capitalism-2 because it involves direct interference with market freedom, capitalism-3 because it depends on such interference — both past and ongoing — and because it flies in the face of the general commitment to freedom that underlies support for market freedom in particular. Capitalism-2 is clearly inconsistent with capitalism-1, and so with a freed market. Under capitalism-2, politicians interfere with personal property rights and voluntary exchanges of goods and services to enrich themselves and their constituents, and big businesses influence politicians in order to foster interference with personal property rights and voluntary exchanges in order to enrich themselves and their allies. There are three ways in which capitalism-3 might be understood to be inconsistent with capitalism-1, and so with a freed market. The first depends on a plausible, even if contestable, view of the operation of markets. Call this view Markets Undermine Privilege (MUP). According to MUP, in a freed market, absent the kinds of privileges afforded the (usually well-connected) beneficiaries of state power under capitalism-2, wealth would be widely distributed and large, hierarchical businesses would prove inefficient and wouldn’t survive. Other kinds of privileges for the politically well connected that tend to make and keep people poor — think occupational licensure and zoning laws, for instance — would be absent from a freed market. So ordinary people, even ones at the bottom of the economic ladder, would be more likely to enjoy a level of economic security that would make it possible for them to opt out of employment in unpleasant working environments, including big businesses. And because a free society wouldn’t feature a government with the supposed right, much less the capacity, to interfere with personal property rights and voluntary exchanges, those who occupy the top of the social ladder in capitalism-3 wouldn’t be able to manipulate politicians to gain and maintain wealth and power in a freed market, so the ownership of the means of production would not be concentrated in a few hands. In addition to ongoing interference with market freedom, MUP suggests that capitalism-3 would not be possible without past acts of injustice on a grand scale. And there is extensive evidence of massive interference with property rights and market freedom, interference that has led to the impoverishment of huge numbers of people, in England, the United States, and elsewhere. Freed-market advocates should thus object to capitalism-3 because capitalists are able to rule only in virtue of large-scale, state-sanctioned violations of legitimate property rights. Capitalism-3 might be understood to be inconsistent with capitalism-1 in light of the underlying logic of support for freed markets. No doubt some people favor personal property rights and voluntary exchanges — capitalism-1 — for their own sake, without trying to integrate support for capitalism-1 into a broader understanding of human life and social interaction. For others, however, support for capitalism-1 reflects an underlying principle of respect for personal autonomy and dignity. Those who take this view — advocates of what I’ll call Comprehensive Liberty (CL) — want to see people free to develop and flourish as they choose, in accordance with their own preferences (provided they don’t aggress against others). Proponents of CL value not just freedom from aggression, but also freedom from the kind of social pressure people can exert because they or others have engaged in or benefited from aggression, as well as freedom from non-aggressive but unreasonable — perhaps petty, arbitrary — social pressure that constrains people’s options and their capacities to shape their lives as they like. CL provides, then, a further reason to oppose capitalism-3. Most people committed to CL find MUP very plausible, and thus will be inclined to think of capitalism-3 as a product of capitalism-2. But the understanding of freedom as a multi-dimensional value that can be subject to assaults both violent and non-violent provides good reason to oppose capitalism-3 even if — as is most unlikely — it were to occur in complete isolation from capitalism-2. 1. To Emphasize the Specific Undesirability of Capitalism-3. Labels like “state capitalism” and “corporatism” capture what is wrong with capitalism-2, but they don’t quite get at the problem with capitalism-3. 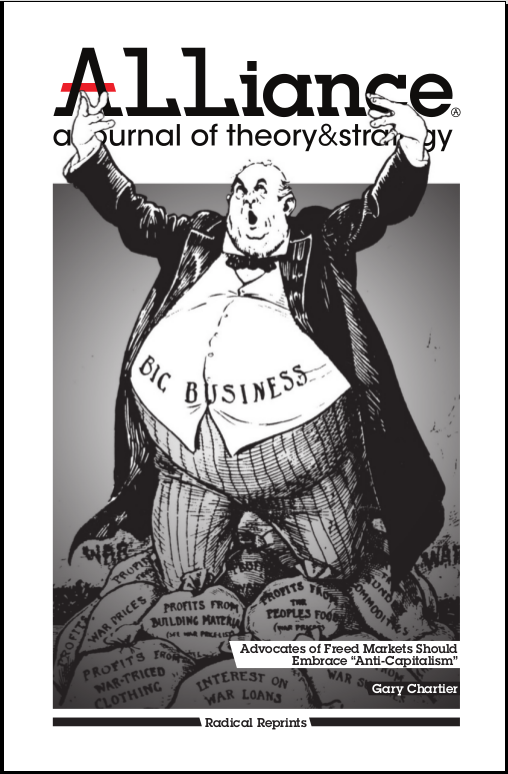 Even if, as seems plausible, rule by capitalists requires a political explanation — an explanation in terms of the independent misbehavior of politicians and of the manipulation of politicians by business leaders — it is worth objecting to rule by big business in addition to challenging business-government symbiosis. To the extent that those who own and lead big businesses are often labeled “capitalists,” identifying what proponents of freedom oppose as “capitalism” helps appropriately to highlight their critique of capitalism-3. 2. To Differentiate Proponents of Freed Markets from Vulgar Market Enthusiasts. The “capitalist” banner is often waved enthusiastically by people who seem inclined to confuse support for freed markets with support for capitalism-2 and capitalism-3 — perhaps ignoring the reality or the problematic nature of both, perhaps even celebrating capitalism-3 as appropriate in light of the purportedly admirable character of business titans. Opposing “capitalism” helps to ensure that advocates of freed markets are not confused with these vulgar proponents of freedom-for-the-power-elite. 3. To Reclaim “Socialism” for Freed-Market Radicals. “Capitalism” and “socialism” are characteristically seen as forming an oppositional pair. But it was precisely the “socialist” label that a radical proponent of freed markets, Benjamin Tucker, owned at the time when these terms were being passionately debated and defined. Tucker clearly saw no conflict between his intense commitment to freed markets and his membership of the First International. That’s because he understood socialism as a matter of liberating workers from oppression by aristocrats and business executives, and he — plausibly — believed that ending the privileges conferred on economic elites by the state would be the most effective — and safest — way of achieving socialism’s liberating goal. Opposing capitalism helps to underscore the important place of radicals like Tucker in the contemporary freedom movement’s lineage and to provide today’s advocates of freedom with a persuasive rationale for capturing the socialist label from state socialists. 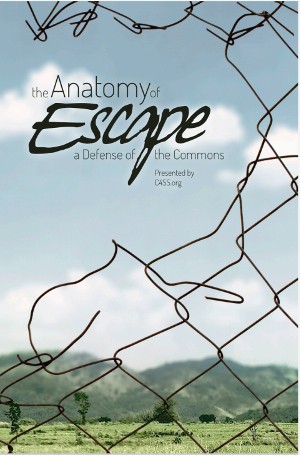 (This is especially appropriate because advocates of freedom believe that society—connected people cooperating freely and voluntarily—rather than the state should be seen as the source of solutions to human problems. Thus, they can reasonably be said to favor socialism not as a kind of, but as an alternative to, statism.) 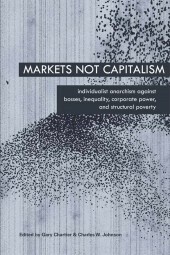 Embracing anti-capitalism underscores the fact that freed markets offer a way of achieving socialist goals — fostering the empowerment of workers and the wide dispersion of ownership of and control over the means of production — using market means. 4. To Express Solidarity with Workers. 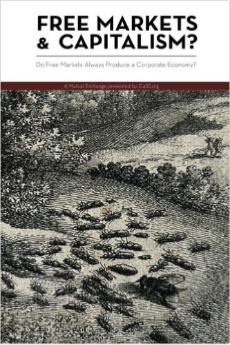 If MUP is correct, the ability of big business — “capital” — to maximize the satisfaction of its preferences more fully than workers are able to maximize the satisfaction of theirs is a function of business-state symbiosis that is inconsistent with freed-market principles. And, as a matter of support for CL, there is often further reason to side with workers when they are being pushed around, even non-aggressively. To the extent that the bosses workers oppose are often called “capitalists,” so that “anti-capitalism” seems like a natural tag for their opposition to these bosses, and to the extent that freed markets — by contrast with capitalism-2 and capitalism-3 — would dramatically increase the opportunities for workers simultaneously to shape the contours of their own lives and to experience significantly greater prosperity and economic security, embracing “anti-capitalism” is a way of clearly signaling solidarity with workers. 5. To Identify with the Legitimate Concerns of the Global Anti-Capitalist Movement. Owning “anti-capitalism” is also a way, more broadly, of identifying with ordinary people around the world who express their opposition to imperialism, the increasing power in their lives of multinational corporations, and their own growing economic vulnerability by naming their enemy as “capitalism.” Perhaps some of them endorse inaccurate theoretical accounts of their circumstances in accordance with which it really is a freed-market system — capitalism-1 — that should be understood as lying behind what they oppose. But for many of them, objecting to “capitalism” doesn’t really mean opposing freed markets; it means using a convenient label provided by social critics who are prepared — as advocates of freedom too often have regrettably refused to do — to stand with them in challenging the forces that seem bent on misshaping their lives and those of others. Advocates of freedom have a golden opportunity to build common ground with these people, agreeing with them about the wrongness of many of the situations they confront while providing a freedom-based explanation of those situations and a freedom-based remedy for the problems they involve. Thirty-five years ago, the great libertarian hero Karl Hess wrote: “I have lost my faith in capitalism” and “I resist this capitalist nation-state,” observing that he had “turn[ed] from the religion of capitalism.” Distinguishing three senses of “capitalism” — market order, business-government partnership, and rule by capitalists — helps to make clear why someone, like Hess, might be consistently committed to freedom while voicing passionate opposition to something called “capitalism.” It makes sense for freed-market advocates to oppose both interference with market freedom by politicians and business leaders and the social dominance (aggressive and otherwise) of business leaders. And it makes sense for them to name what they oppose “capitalism.” Doing so calls attention to the freedom movement’s radical roots, emphasizes the value of understanding society as an alternative to the state, underscores the fact that proponents of freedom object to non-aggressive as well as aggressive restraints on liberty, ensures that advocates of freedom aren’t confused with people who use market rhetoric to prop up an unjust status quo, and expresses solidarity between defenders of freed markets and workers — as well as ordinary people around the world who use “capitalism” as a short-hand label for the world-system that constrains their freedom and stunts their lives. Freed-market advocates should embrace “anti-capitalism” in order to encapsulate and highlight their full-blown commitment to freedom and their rejection of phony alternatives that use talk of freedom to conceal acquiescence in exclusion, subordination, and deprivation. For “freed markets,” see William Gillis, “(The Freed Market),” Human Iter­a­tions (n.p., July 31, 2007) «http://williamgillis.blogspot.com/2007/07/freed-market-one-of-tactics-ive-taken.html» (Jan. 2, 2010); for “free market anti-capitalism,” see Kevin A. Carson, Mutualist Blog: Free Market Anti-Cap­i­tal­ism (n.p.) «http://mutualist .blogspot.com» (Dec. 31, 2009). Cp. Charles Johnson, “Anarquistas por La Causa,” Rad Geek People’s Daily (n.p., March 31, 2005) «http:// radgeek.com/gt/2005/03/31/anarquistas_por/» (Dec. 31, 2009); Roderick T. Long, “POOT­MOP Redux,” Aus­tro-Athenian Empire (n.p., June 22, 2009) «http://aaeblog.com/2009/06/22/pootmop-redux/» (Dec. 31, 2009); Fred Foldvary, “When Will Michael Moore Nail Land Speculators?,” The Progress Report (n.p., Oct. 19, 2009) «http:// www.progress.org/2009/fold635.htm» (Jan. 18, 2010). “Capitalism” in Johnson’s third sense refers to “boss-directed labor,” while Long’s parallel expression, “capitalism-2,” de­notes “control of the means of production by someone other than the workers — i.e., by capitalist owners.” Foldvary’s final proposal is “exploitation of labor by the big owners of capital.” I am inclined to think that many of those who em­ploy the pejorative sense of “capitalism” intend it to encompass the dominance by bosses of all social in­stitutions, and not just workplaces, though they doubtless see societal dominance and workplace dominance as connected. At any rate, supposing that they do may provide a slender justification for dis­tinguishing my typology from the ones offered by Johnson, Long, and Foldvary. While capitalism-2 obtains whenever business and the state are in bed together, under capitalism-3 business is clearly on top. It is unclear when “capitalism” was first employed (the Oxford English Dictionary identifies William Make­peace Thackeray as the earliest user of the term: see The Newcomes: Memoirs of a Most Respectable Family, 2 vols. [London: Bradbury 1854–5] 2:75). By contrast, “capitalist” as a pejorative has an older history, appearing at least as early as 1792, and figuring repeatedly in the work of the free-market socialist Thomas Hodgskin: see, e.g., Popular Political Economy: Four Lectures Delivered at the London Mechanics Institution (London: Tait 1827) 5, 51-2, 120, 121, 126, 138, 171 (“greedy capitalists”! ), 238-40, 243, 245-9, 253-7, 265; The Natural and Artificial Right of Property Contrasted: A Series of Letters, Addressed without Permission to H. Brougham, Esq. M.P. F.R.S. (London: Steil 1832) 15, 44, 53, 54, 67, 87, 97-101, 134-5, 150, 155, 180. The pejorative use occurs nearly eighty times throughout the thirty-odd pages of Hodgskin’s Labour Defended against the Claims of Capital, or, The Unproductiveness of Capital Proved (London: Knight 1825). For a devastating critique of rules — often supported by politicians beholden to wealthy and well connected people who expect to benefit from them — that systematically make and keep people poor, see Charles Johnson, “Scratching By: How Government Creates Poverty As We Know It,” The Freeman: Ideas on Liberty 57.10 (Dec. 2007): 33-8 (Foundation for Economic Education) «http://www.thefreemanonline.org/featured/scratching-by-how-government-creates-poverty-as-we-know-it/» (Jan. 2, 2010). Cp. Albert Jay Nock, Our Enemy the State (New York: Morrow 1935); Kevin A. Carson, “The Subsidy of History,” The Freeman: Ideas on Liberty 58.5 (June 2008): 33-8 (Foundation for Economic Education) «http:// www.thefreemanonline.org/featured/the-subsidy-of-history/» (Dec. 31, 2009); Joseph Stromberg, “The American Land Question,” The Freeman: Ideas on Liberty 59.6 (July-Aug. 2009): 33-8 (Foundation for Economic Education) «http://www.thefreemanonline.org/featured/the-american-land-question/» (Dec. 31, 2009). Cp. Charles Johnson, “Libertarianism through Thick and Thin,” Rad Geek People’s Daily (n.p., Oct. 3, 2008) «http://radgeek.com/gt/2008/10/03/libertarianism_through/» (Dec. 31, 2009); Kerry Howley, “We’re All Cultural Libertarians,” Reason (Reason Foundation, Nov. 2009) «http://reason.com/archives/2009/10/20/are-property-rights-enough» (Dec. 31, 2009). I became acquainted with this phrase thanks to Nicholas Lash, Believing Three Ways in One God: A Reading of the Apostles’ Creed (Notre Dame, IN: U of Notre Dame P 1992); see, e.g., 12. But it appears, I have subsequently discovered, to have a legal provenance and to be a rough translation of the Latin phrase noscitur a sociis. See, e.g., Kevin A. Carson, “Another Free-for-All: Libertarian Class Analysis, Organized Labor, Etc.,” Mutualist Blog: Free-Market Anti-Capitalism (n.p., Jan 26, 2006) «http://mutualist.blogspot.com/2006/01/another-free-for-all-libertarian-class.html» (Jan. 18, 2010); Sheldon Richman, “Class Struggle Rightly Conceived,” The Goal Is Freedom (Foundation for Economic Education, July 13, 2007) «http://fee.org/articles/in-brief/the-goal-is-freedom-class-struggle-rightly-conceived/» (Jan. 18, 2010); Roderick T. Long, “Toward a Libertarian Theory of Class,” Social Philosophy and Policy 15.2 (Sum. 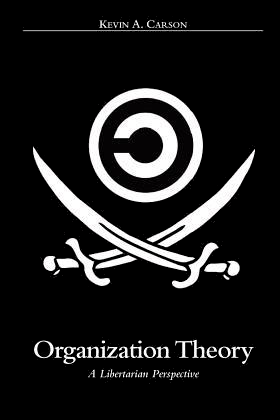 1998): 303-49; Wally Conger, Agorist Class Theory: A Left Libertarian Approach to Class Conflict Analysis (n.p., n.d.) (Agorism.info, n.d.) «www.agorism.info/AgoristClassTheory.pdf» (Jan. 18, 2010). See Benjamin R. Tucker, “State Socialism and Anarchism: How Far They Agree and Wherein They Differ,” Instead of a Book: By a Man Too Busy to Write One (New York: Tucker 1897) (Fair-Use.Org, n.d.) «http:// fair-use.org/benjamin-tucker/instead-of-a-book/» (Dec. 31, 2009). Cp. Kevin A. Carson, “Socialist Def­in­i­tional Free-for-All: Part II,” Mutualist Blog: Free Market Anti-Capitalism (n.p., Dec. 8, 2005) «http://mutualist.blogspot .com/2005/12/socialist-definitional-free-for-all_08.html» (Dec. 31, 2009); Brad Spangler, “Re-Stating the Point: Rothbardian Socialism,” BradSpangler.Com (n.p., Oct. 10, 2009) «http://bradspangler.com/blog/archives/1458» (Dec. 31, 2009); Gary Chartier, Socialist Ends, Market Means: 5 Essays (Tulsa, OK: Tulsa Alliance of the Libertarian Left 2009) (Center for a Stateless Society, Aug. 31, 2009) «http://c4ss.org/wp-content/uploads/2009/08/ Garychartier_forprint_binding .pdf» (Dec. 31, 2009). Thanks to Sheldon Richman for helping me to see this point. Cp. Sheldon Richman, “Workers of the World Unite for a Free Market,” The Freeman: Ideas on Liberty (Foundation for Economic Education, Dec. 18, 2009) «http://www.thefreemanonline.org/tgif/workers-of-the-world-unite/» (Dec. 31, 2009). Karl Hess, Dear America (New York: Morrow 1975) 3, 5. Even more bluntly, Hess writes: “What I have learned about corporate capitalism, roughly, is that it is an act of theft, by and large, through which a very few live very high off the work, invention, and creativity of very many others. It is the Grand Larceny of our particular time in history, the Grand Larceny in which a future of freedom which could have followed the collapse of feudalism was stolen from under our noses by a new bunch of bosses doing the same old things” (1).